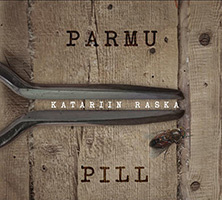 Solo album PARMU PILL with Estonian traditional jaws harp music is out now. It has been exactly ten years since Katariin learned to play her first tune on a jaw harp. Among her other musical activities, this record is all about the pure traditional music. Playing for dancers is the most challenging and enjoyable way to use that small but mysterious instrument. The album is titled "Parmu pill", which means "The Horsefly's Instrument". It is dedicated to Estonian traditional dance, jaw harp music and different jaw harps. Katariin's solo album gives a good overview of contemporary traditional jaw harp playing in Estonia. More information about the tunes and the harps can be found on the CD's booklet.